Brand new factory sealed Karaoke Disc. The perfect addition to any collection! Perfect for Vocal Coaches and Singers. A great gift for performers and karaoke lovers alike. 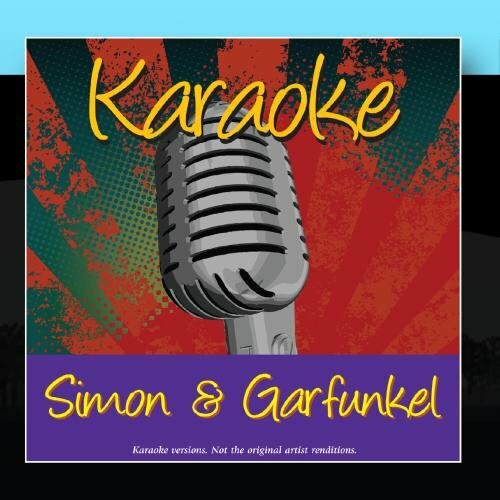 Karaoke - Simon & Garfunkel, Vol. 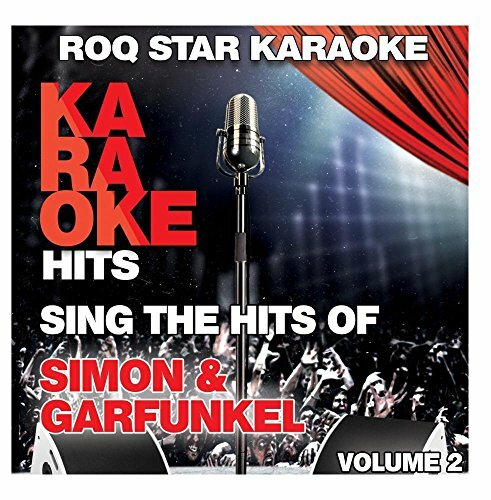 2 by Roq Star KaraokeWhen sold by Amazon.com, this product will be manufactured on demand using CD-R recordable media. Amazon.com's standard return policy will apply. AMAZING Compilation of 21 of the most popular songs by Simon & Garfunkel. Instrumental versions of the following songs: / 01 Bridge Over Troubled Water Simon & Garfunkel 02 Boxer, The Simon & Garfunkel 03 You Can Call Me Al Simon, Paul 04 Mrs. Robinson Simon & Garfunkel 05 50 Ways To Leave Your Lover Simon, Paul 06 Me And Julio Down By The Schoolyard Simon, Paul 07 Sound Of Silence, The Simon & Garfunkel 08 Homeward Bound Simon & Garfunkel 09 Slip Slidin' Away Simon, Paul 10 I Am A Rock Simon, Paul 11 My Little Town Simon & Garfunkel 12 Scarborough Fair Simon & Garfunkel 13 Mother And Child Reunion Simon & Garfunkel 14 Cecilia Simon & Garfunkel 15 Loves Me Like A Rock Simon, Paul 16 59th Street Bridge Song, The (Feelin' Groovy) Simon & Garfunkel 17 Kodachrome Simon, Paul 18 Duncan Simon & Garfunkel 19 Still Crazy After All These Years Simon, Paul 20 All I Know Garfunkel, Art 21 I Only Have Eyes For You Garfunkel, Art / 21 INSTRUMENTAL VERSIONS OF THE ORIGINAL SONGS/ALL TRACKS ARE PROFESSIONAL RE-RECORDINGS AND NOT THE ORIGINAL MUSIC BY THE ORIGINAL ARTISTS. 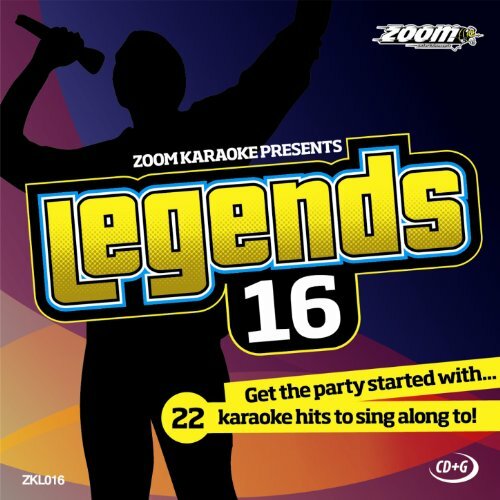 18 Song Karaoke CD+G including some harder to find songs by Simon & Garfunkel/SONGS INCLUDED ARE: / 01 Mrs. Robinson Simon & Garfunkel 02 Leaves That Are Green Simon & Garfunkel 03 Flowers Never Bend Near The Rainfall Simon & Garfunkel 04 You Can Call Me Al Simon, Paul 05 Kathy's Song Simon & Garfunkel 06 Cloudy Simon & Garfunkel 07 Somewhere They Can't Find Me Simon & Garfunkel 08 We've Got A Groovy Thing Going On Simon & Garfunkel 09 Still Crazy After All These Years Simon, Paul 10 Bye Bye Love Simon & Garfunkel 11 Sparrow Simon & Garfunkel 12 Second Avenue Garfunkel, Art 13 Wonderful World, (What A) Garfunkel, Art 14 Bright Eyes Garfunkel, Art 15 Baby Driver Simon & Garfunkel 16 For Emily Whenever I May Find Her Simon & Garfunkel 17 She's Got Diamonds On The Sole Of Her Shoes Simon & Garfunkel 18 Boxer, The Simon & Garfunkel /ALL TRACKS ARE PROFESSIONAL RE-RECORDINGS AND NOT THE ORIGINAL MUSIC BY THE ORIGINAL ARTISTS. 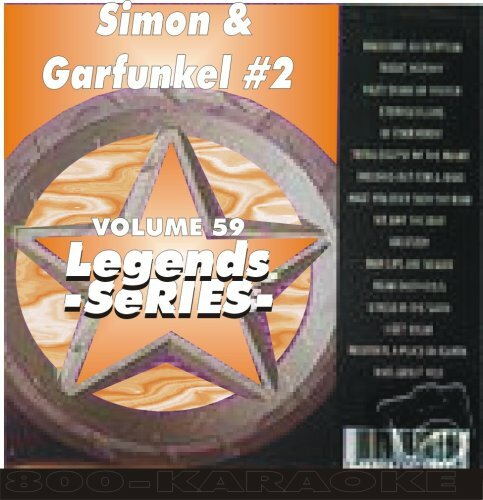 The Simon & Garfunkel 1960s Karaoke Songbook by The 1960s Karaoke BandWhen sold by Amazon.com, this product will be manufactured on demand using CD-R recordable media. Amazon.com's standard return policy will apply. 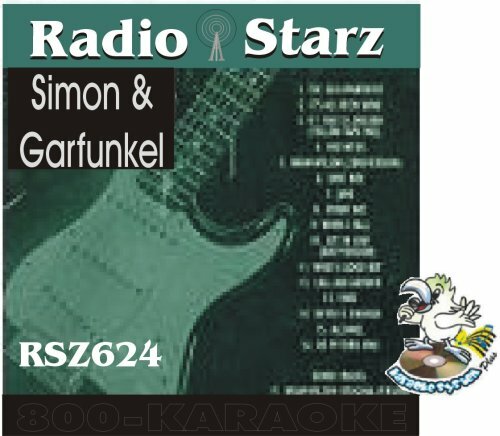 Karaoke - Simon & Garfunkel by Karaoke - AmeritzWhen sold by Amazon.com, this product will be manufactured on demand using CD-R recordable media. Amazon.com's standard return policy will apply. Karaoke - Simon & Garfunkel by Roq Star KaraokeWhen sold by Amazon.com, this product will be manufactured on demand using CD-R recordable media. Amazon.com's standard return policy will apply. 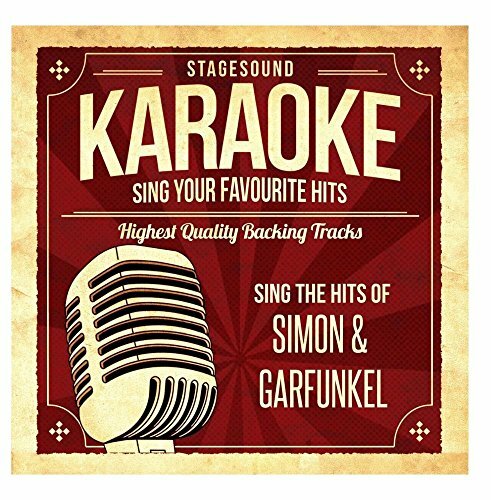 Sing The Hits Of Simon & Garfunkel by Stagesound KaraokeWhen sold by Amazon.com, this product is manufactured on demand using CD-R recordable media. Amazon.com's standard return policy will apply. 18 Song Karaoke CD+G including some harder to find songs by Simon & Garfunkel/SONGS INCLUDED ARE: / 01 America Simon & Garfunkel 02 Only Living Boy In New York Simon & Garfunkel 03 Scarborough Fair Simon & Garfunkel 04 Take Me To The Mardi Gras Simon & Garfunkel 05 Patterns Simon & Garfunkel 06 Mother And Child Reunion Simon, Paul 07 Boy In The Bubble Simon & Garfunkel 08 April Come She Will Simon & Garfunkel 09 Overs Simon & Garfunkel 10 Late In The Evening Simon, Paul 11 Cecilia Simon & Garfunkel 12 I Only Have Eyes For You Garfunkel, Art 13 El Condor Pasa Simon & Garfunkel 14 Punky's Dilemma Simon & Garfunkel 15 Dangling Conversation, The Simon & Garfunkel 16 Graceland Simon & Garfunkel 17 Fakin' It Simon & Garfunkel 18 Homeward Bound Simon & Garfunkel /ALL TRACKS ARE PROFESSIONAL RE-RECORDINGS AND NOT THE ORIGINAL MUSIC BY THE ORIGINAL ARTISTS. NOTE: This series of discs comes in card wallets, not jewel cases. This is a professional quality karaoke disc from Zoom Karaoke. Lyrics are displayed on your TV screen when the disc is played in a CD+G (CD+Graphics) machine. All tracks have professional endings - no fade outs! 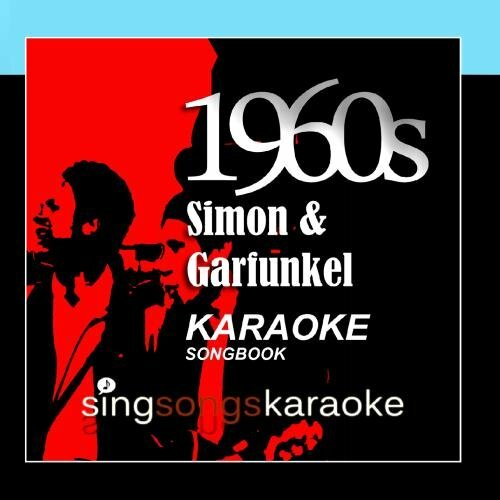 Compare prices on Simon And Garfunkel Karaoke at ShoppinGent.com – use promo codes and coupons for best offers and deals. Start smart buying with ShoppinGent.com right now and choose your golden price on every purchase.